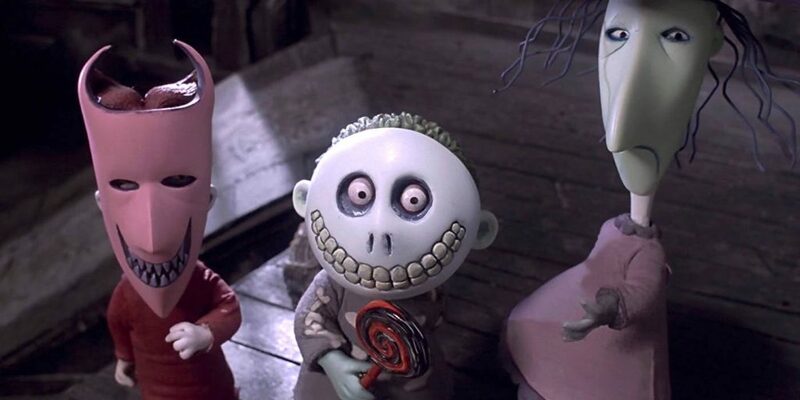 “Tim Burton’s The Nightmare Before Christmas” ranks as perhaps the ultimate holiday movie. Brilliant Danny Elfman music augments gorgeous stop-motion animation photography spearheaded by director Henry Selick that depicts the lyrical tale of Jack Skellington (voiced by Chris Sarandon when he speaks, and Elfman when he sings), the “Pumpkin King” of Halloween World, who stumbles upon the presence of alternate holiday universes after yet another successful-but-hollow Halloween celebration. The script, by Caroline Thompson (“Edward Scissorhands,” “The Addams Family”) and the late Michael McDowell (“Beetlejuice”) ingeniously expands upon producer Tim Burton’s original extended children’s poem, written and illustrated in the signature Burton German Expressionist-meets-Dr. Seuss design idiom. Upon entering Christmas World, Jack is immediately smitten, and launches an earnest-but-misguided campaign to supplant Santa Claus (voiced by Edward Ivory) and leads his twisted gang of All Hallow’s Eve misanthropes in accidentally terrorizing children the world over. “Nightmare” manages to capture both the delightful morbidity and eeriness of Halloween and the cute magic and wonder inherent to Christmas (in the popular imagination as a commercial holiday, anyway). It remains, 25 years after its October 29th, 1993 release, a singular achievement in the history of movies. To commemorate this anniversary, Filmcore editors Armani Barron and Alex Kirschenbaum ruminate on the film’s glories and muse on possibilities for universe expansion — if that’s even a good idea. Alex Kirschenbaum: Not only is “Nightmare” a tidy two-for-one festive treat, but the film also manages to allude to five other “Holiday Worlds of Old,” as indicated by colorful signs decorating crude doors carved into magical trees in a forest straight out of an Edward Gorey book: Easter, Thanksgiving, Valentine’s Day, St. Patrick’s Day, and Independence Day. So which festive door should Jack open next? 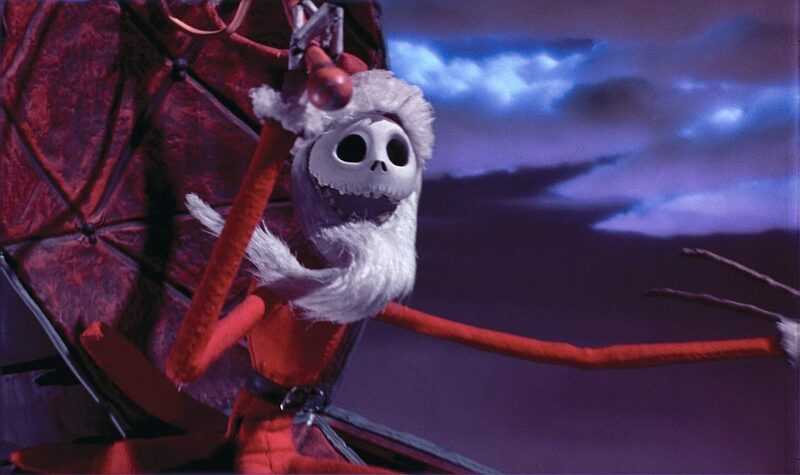 Assuming he has effectively learned his lesson after his initial Halloween-Christmas mashup fiasco, Jack Skellington (Chris Sarandon) should ride off into the proverbial sunset, relishing his reinvigorated life as the Pumpkin King of Halloween World with his beloved Sally (Catherine O’Hara). But what if he gets restless again? What if he gets a new itch, one that life as the Pumpkin King just won’t scratch? Which Holiday World door, then, should he open? Armani Barron: That inspiration for “NBC” (“Nightmare Before Christmas”) certainly does make sense. To this day I can’t decide if it’s a Halloween or a Christmas movie because we spend an almost equal amount of time on both subjects (though arguably more time on the Halloween set). I think Jack Skellington learned his lesson honestly, but I’d be more interested in another character going through the door and occupying a different holiday. Since Oogie Boogie’s Boys were able to go through the tree door and kidnap Santa we know that inter-tree travel isn’t a skill singular to Jack so what would it look like if the Mayor went through the St. Patrick’s Day tree? Would he end up in Wrigleyville? It has been repeatedly stated that Tim Burton refuses to do an “NBC2,” citing concerns to protect the project’s “purity,” but this is coming from the same guy who pumped out two Alice in Wonderland disasters. Tim Burton, like Johnny Depp, isn’t exactly known for consistency at this point. What I’d be even more interested in is a few shorts where we see the characters preparing for Halloween with their invigorated spirits. After all, the movie opens with them returning from terrorizing the mortal world and then immediately embarking on a twisted Christmas production. I’d love to see what their Halloween looks like in full force rather than just hearing about it after. AK: I would posit that it’s not an either/or holiday proposition, in terms of it being Halloween vs. Christmas. Rather, it’s both! Honestly, what matters most with getting a quality followup (which is just risky in general), is locking in three key behind-the-scenes figures: Burton, director Henry Selick (who later helmed “James and the Giant Peach” and “Coraline”), screenwriter Caroline Thompson and of course the inimitable reformed rock star Danny Elfman, lyricist and composer of all those classic tracks. Also, it behooves me to point out that Burton merely produced the second “Alice” movie (the first one was pretty rough though). I just wanted to say HELL YES to the ideas of (a) the Mayor experiencing St. Patty’s Day in Wrigleyville (it could be a live-action/stop-motion mashup a la “Space Jam” or “Who Framed Roger Rabbit?”) and (b) Halloween World preparation shorts where we follow little characters (especially Oogie’s Boys, the Werewolf and the zombie family, they intrigue me the most). Also, it behooves me to point out that Tim Burton merely produced “Alice Through The Looking Glass” — but even still, his “Alice In Wonderland” was not a best, despite its $1.025 billion international box office take. I would love to see The Mayor in a Wrigleyville-esque St. Patty’s Day World. Is there a safe route to achieving a PG rating under such a scenario? How long would The Mayor last before blacking our completely? One, two hours? I’d also pay good money to watch The Wolfman wreak havoc across Easter World (we’re talking a 30-minute, R-rated movie with “Evil Dead” sensibilities in stop motion, tops). Seeing a romance with Sally and Jack traipsing around Valentine’s Day World would be pretty cute, too. Of course, they’d run the risk of Jack re-appropriating the holiday unnecessarily. 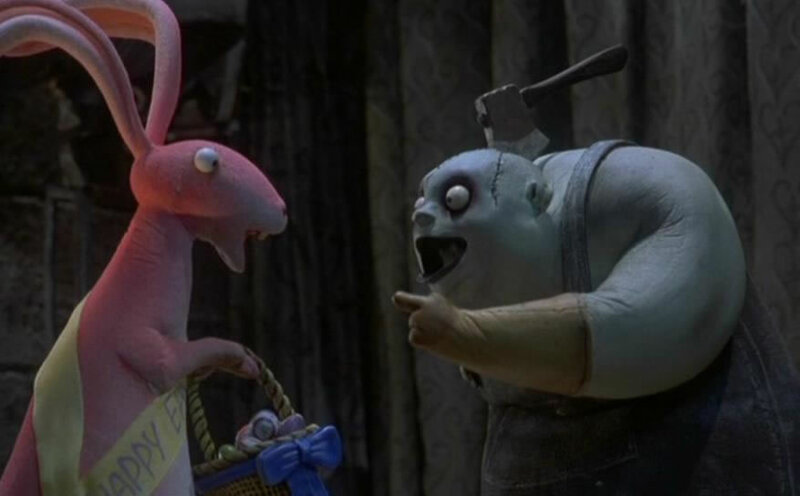 I’m all-in on a series of, say, 10 Halloween-themed shorts detailing some of the spookiest creatures’ preparations and their actual Halloween experiences. Especially just a long, meditative hang with the One Hiding Under The Stairs, where he pops out and scares kids dumb enough to descend that terrifying staircase every once in a while. AB: Again, this brings us full circle with the whole point of “NBC:” at the end of the day, it functions as a warning against doing too much. Jack was doing too much when he tried to take over Christmas just like Johnny Depp was doing too much as the mad hatter in the “Alice in Wonderland” reboots. Aside from a few tastefully done shorts, any other attempt to redo or tack on to this franchise was just be “doing too much” in my opinion. “NBC” seems to be the only holiday movie that has seemed immune to the trappings of Hollywood cash grabs. AK: I concur. I’m amenable to the movie being retrofitted to conform to moviegoing trends if it means the flick gets to return to theatrical distribution (it had a second life in 3D for a while), but beyond our idea for some short film followups, it’s best left alone. “The Nightmare Before Christmas” stands as a generational classic that will survive long after many of the kids who saw it on the big screen the first time around. This is a special film.